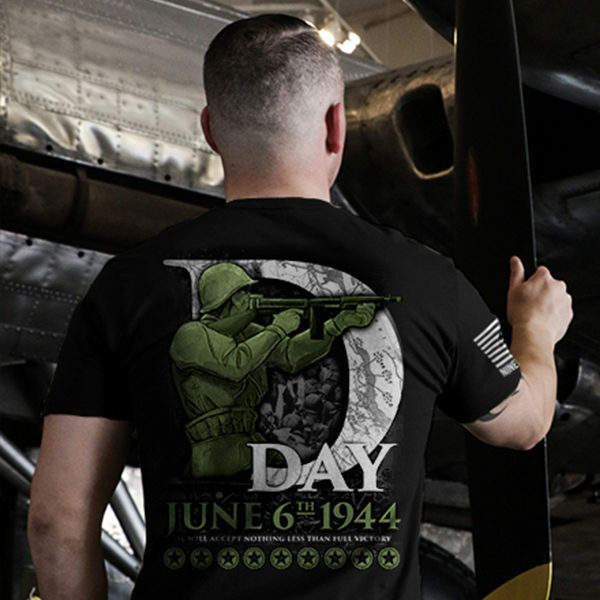 As we come closer to June 6th, the 74th Anniversary of D-Day, Nine Line Apparel and I have released two new designs to reflect the American spirit and pride of my patriotic nation. 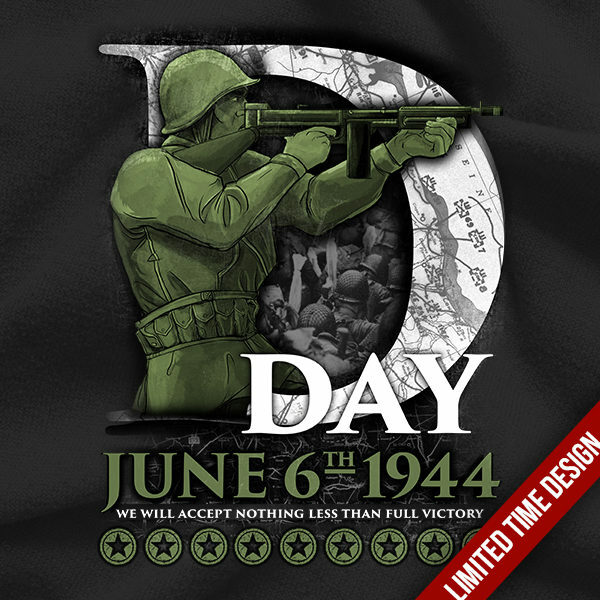 The first design was to commemorate the event of D-Day, showing a brave soldier in period garb and equipment, with a scene of battle subdued in the background. I found plans for the actual Normandy invasion and used them as a texture element in the text. The lettering, design, and illustration was all done by me. 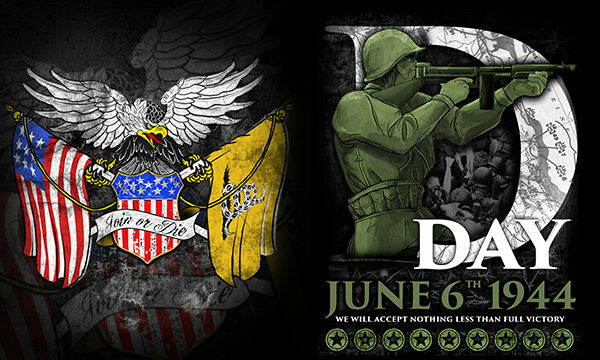 We also separated the design and it will be screen printed by Nine Line’s in-house print-shop. The second design was something with more flair. 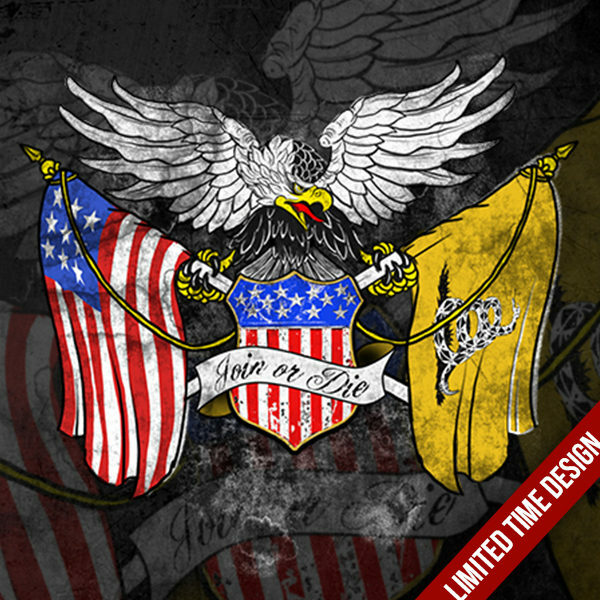 Based off of the traditional navy tattoos like Sailor Jerry, we created a chest piece design for a front print t-shirt. The original illustration and concept for this were also created by me, as were all the marketing and advertising materials and concepts. Illustrator, Fine Artist, Graphic Shirt and Apparel Designer, Beer Label Maker and Connoisseur of Coffee, Brew, and Tea. When I'm not illustrating I enjoy reading fantasy novels, p… Show more. Send a message directly to Marc Osborne. 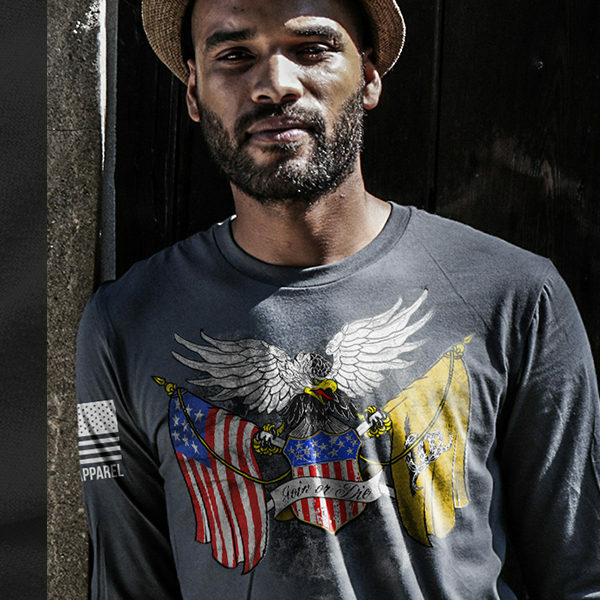 “Marc is an extremely talented artist. After just one brief meeting to discuss what I was looking for he was able to get to work right away and deliver on-point and on-brand artwork. He pays attention to detail which is very important when working on deadline. While he was working he even sent over a rough draft so we could talk about the direction the work was headed in order to make sure we would be happy with the final pieces.Everyone who saw, and has seen, the work he did for us has complemented it and raved about it. We can't wait to continue working with Marc in the future! Illustrator, Fine Artist, Graphic Shirt and Apparel Designer, Beer Label Maker and Connoisseur of Coffee, Brew, and Tea. When I'm not illustrating I enjoy reading fantasy novels, playing immersive role-playing games, and enjoying time with my wife and our two pupperonies. I work fast and have a great imagination. If you've read this far why not shoot me an email? No job is too small!